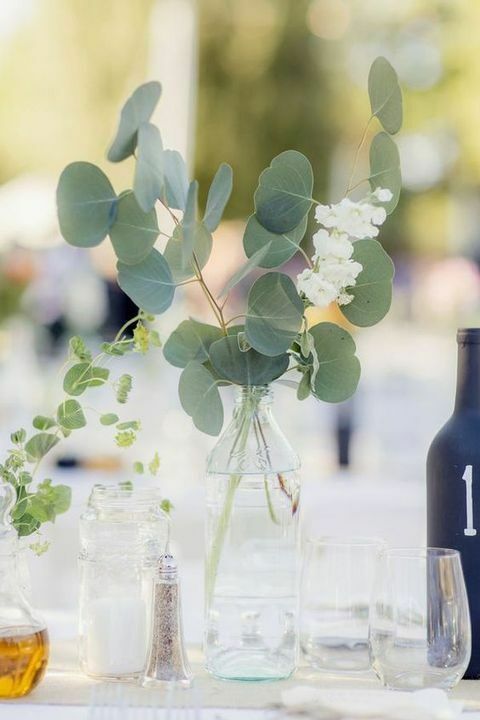 If you’re looking for some simple eucalyptus wedding decor ideas you can use for your wedding, you’ll want to check some of these out. From bouquets and centerpieces to garlands and wreaths, eucalyptus is a versatile and unique foliage that DIYers love because it’s easy to work. 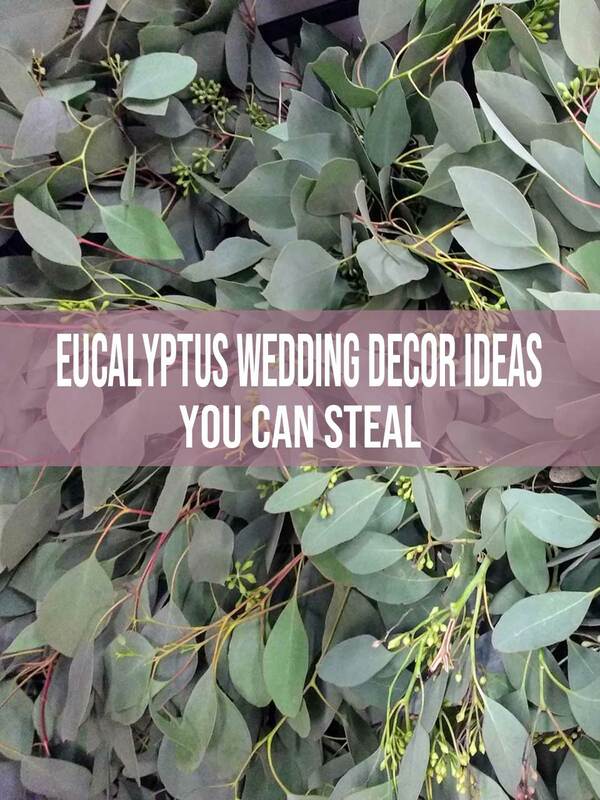 Here are some of the more interesting eucalyptus wedding decor ideas we’ve found on Pinterest that will show you why it’s the choice of many DIY brides. From simple to grand, we think you’re going to love these eucalyptus decor ideas as much as we do. Take a look and see if you agree. Beautiful rustic wedding bouquet and wedding decor ideas featuring several varieties of eucalyptus. 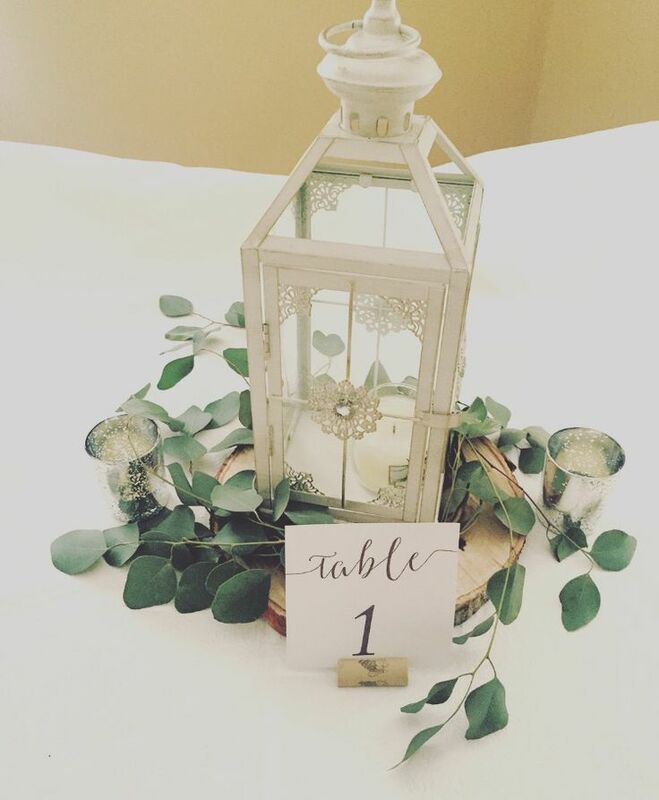 Simple rustic lantern and eucalyptus wedding centerpiece idea. Simple eucalyptus bud vase that can stand alone or be grouped together. 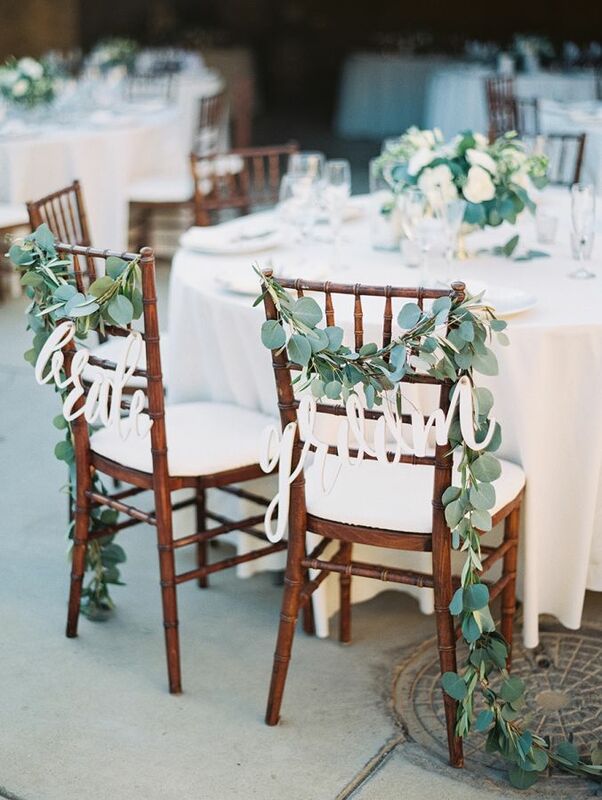 Wonderful decor and bouquet ideas featuring eucalyptus combined the other foliages and flowers. 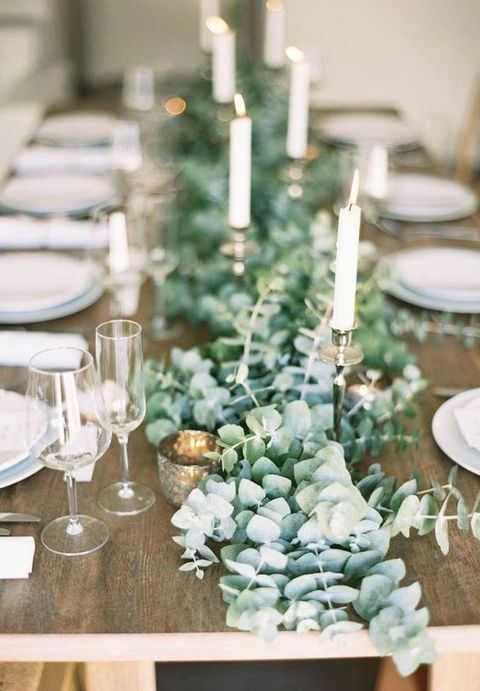 An Exquisite eucalyptus wedding table runner. Love this welcome sign for a wedding. 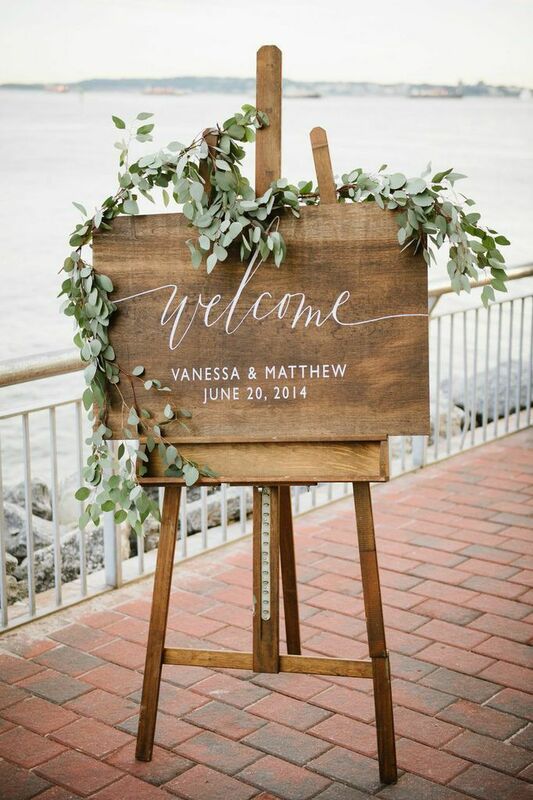 The wood is rustic but the eucalyptus and cursive lettering add a lovely visual touch. I hope you feel that checking out these pics was time well-spent and you came away with a few new ideas you can use. If you’re looking for eucalyptus, it’s pretty much available everywhere these days, especially online. I know it’s available at sites like GlobalRose, FiftyFlowers and BloomsbytheBox. If you only need a small amount, I recommend checking with your local florist. Allow me to welcome you to Greenfield Flower Shop’s blog. Okay, before anything else, I’ve gotta level with you. Truth be told, I really built this website for me. See, I really enjoy checking out floral photos and videos (like the pics of some unique eucalyptus wedding decor ideas you just looked at), and a cool site on which I could house my favorites is really what I was after. I also believe that opportunity is limitless online, which is another motivating factor in my decision to create this site. Not gonna lie. The point is, this site does provide me with a small income. But listen… any possible monetary benefit is incidental, and I’m not here to sell you anything. So please visit again any time! I’ll simply keep sharing timely information about flowers, plants, and weddings… and we’re just getting warmed up! Please subscribe below, or click the red notification button on the bottom right of your screen, if you’d like to be updated about new info as it’s posted. In any case, I do ask that you click the Facebook “Like” button or the Twitter “Follow” button on my sidebar, which can be found to the right of this post. As my final request, I love reading your comments. Let us know what you liked or didn’t like about the post. Use the comments section below.